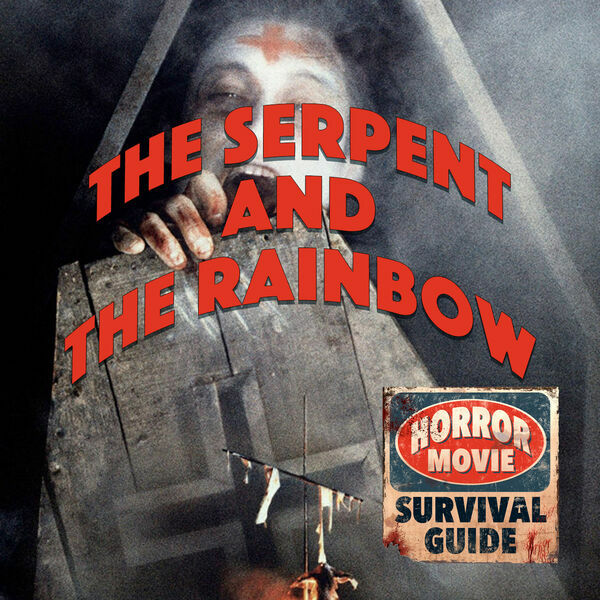 Horror Movie Survival Guide - The Serpent and the Rainbow "Don't let them bury me! I'm not dead!" The Serpent and the Rainbow "Don't let them bury me! I'm not dead!" Wes Craven travels south to Haiti to join Bill Pullman's Harvard anthropologist Dennis Alan in his quest for a powder that can kill any human - then bring them back to life as a zombie - because somehow this will be helpful back at Harvard to create a new kind of anesthetic? Anyway, many voodoo frights await him in this moodily directed, surprisingly political horror flick.